You don’t always get a warning, but sometimes, cardiac arrest symptoms—heart palpitations, fainting, and shortness of breath—will signal the need for help. Pay attention to potential cardiac arrest symptoms (chest pain? heart palpitations?) and understand your own risk factors, as described in our post. 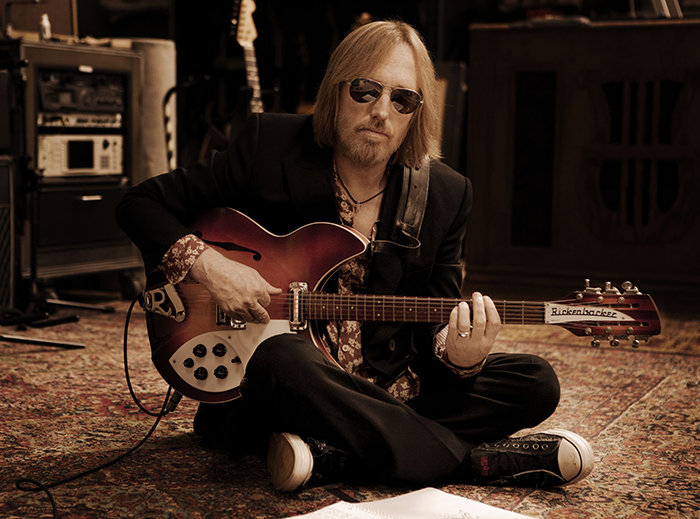 The sudden passing of longtime rock’n’roll star Tom Petty on Oct. 3, 2017 sent people in search of information about the cause of his death, attributed by his family in a press release as cardiac arrest, with a pending autopsy expected to shed light on the event. So what is cardiac arrest, and how does it differ from a heart attack? And what should we consider to be cardiac arrest symptoms? Cardiac arrest is a sudden and frequently fatal event that occurs when the heart’s electrical system malfunctions, causing the heart to stop beating. Though it often comes on without any warning, sometimes a cardiac arrest symptom or two can tip you off that an event is imminent. Cardiac arrest symptoms may occur moments before—or as much as an hour before—the event. One study found that cardiac arrest symptoms may first appear about a month beforehand—and then show up again shortly before the heart stops. Researchers found that only about 5 percent of the people who experienced heart palpitations, chest pain, and other related problems actually reported their symptoms and sought medical attention. By recognizing these warning signs, you may be able to save your life. Sadly, the majority of people who suffer cardiac arrest don’t survive. Occasionally, cardiopulmonary resuscitation (CPR) can revive someone. Or if a cardiac arrest victim is rushed to an emergency room in time, he or she might have a chance. But according to the American Heart Association, only about 10 percent of people who have cardiac arrest outside a hospital survive the event. It’s especially important to pay attention to signs of heart trouble if you’re at high risk for cardiac arrest or other cardiovascular events, such as heart attack or stroke. The main risk factor for cardiac arrest is coronary artery disease (CAD). Unfortunately, many people don’t know they have heart disease until they suffer cardiac arrest. But if your doctor has told you that you have high cholesterol and/or high blood pressure, or if you are obese, a smoker, or have diabetes, you should talk with your doctor about your odds of developing heart disease. If any of these conditions describe you, talk with your doctor about the warning signs of cardiac arrest, heart attack, and stroke. Know what to do if you experience heart palpitations, chest pain and similar signs of trouble. The main emergency treatment for cardiac arrest is defibrillation. You’ve probably seen defibrillators used on TV shows or in movies. The devices, which use special paddles to send electrical jolts through the chest to the heart, are becoming more widely available in public places. Most government buildings have automated external defibrillators (AEDs), as do senior centers, shopping malls, airports, fitness centers and other places where people gather. These can be used by untrained bystanders if someone nearby goes into cardiac arrest. Cardioplumonary resuscitation can also help revive someone in cardiac arrest. But time is everything. The longer a person goes without blood circulating throughout the body, the greater the chance of permanent injury or death. A call to 911 should always accompany lifesaving efforts such as CPR or the use of an AED. If you’re at risk of cardiac arrest, you may want to have an AED in your home and make sure family members are familiar with the device and the signs that you’re in cardiac arrest. Often people who survive cardiac arrest are given an implantable cardioverter defibrillator (ICD). This device is implanted under the skin and is programmed to detect when a heart is experiencing an abnormal rhythm or if stops beating. 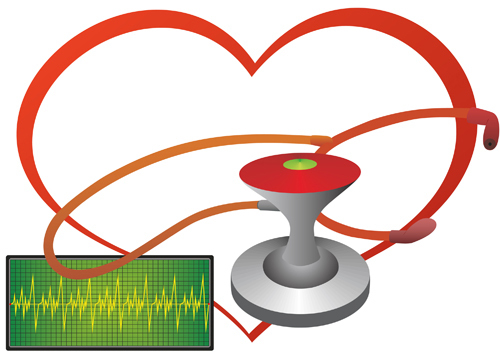 The ICD responds by sending an electrical signal to the heart to help restore a healthy rhythm. The language of heart disease and cardiovascular events can get confusing. But there’s one important distinction you should understand. Cardiac arrest and heart attack are sometimes incorrectly used interchangeably. A heart attack occurs when there is blockage in one of the heart’s arteries, starving the heart muscle of oxygenated blood. By contrast, there are a few different causes of cardiac arrest. It can happen when the heart muscle doesn’t respond to the electrical signals telling it to keep beating. Cardiac arrest can also result if those electrical signals slow down too much or just stop altogether. The most common cause of cardiac arrest, however, is ventricular fibrillation. 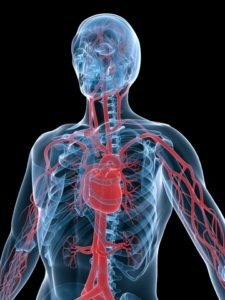 That occurs when the heart’s lower chambers (ventricles) beat too rapidly or beat irregularly, disrupting the flow of blood out of the heart to the brain and the rest of the body. Someone having a heart attack—again, not to be confused with cardiac arrest—may have heart palpitations. But usually, signs of a heart attack include chest pain, shortness of breath, nausea, and pain in the arms, neck, jaw or back. While passing out is the most obvious sign of cardiac arrest, heart palpitations or an unusual change in your heart rhythm may be something you notice before you lose consciousness. If so, tell someone as the heart palpitations are happening so that if you do faint, he or she will be able to get help or try to revive you. a heart attack, artery disease, atrial fibrillation, blood pressure, brain, cardiac arrest symptoms, cardiopulmonary, cardiovascular, chest pain, cholesterol, congestive heart failure, coronary, coronary artery disease, diabetes, faint, fitness, having a heart attack, health, health news, heart attack, heart attack symptoms, heart disease, heart failure, heart muscle, heart problem, heart problem symptoms, heart trouble, high blood pressure, high cholesterol, icd, mild heart attack, mild heart attack symptoms, muscle, pain, shortness of breath, signs of a heart attack, signs of heart trouble, skin, stroke, university health news, ventricular fibrillation, what is congestive heart failure.